Dream In Darkness: A Day Late but Pirates Fault! 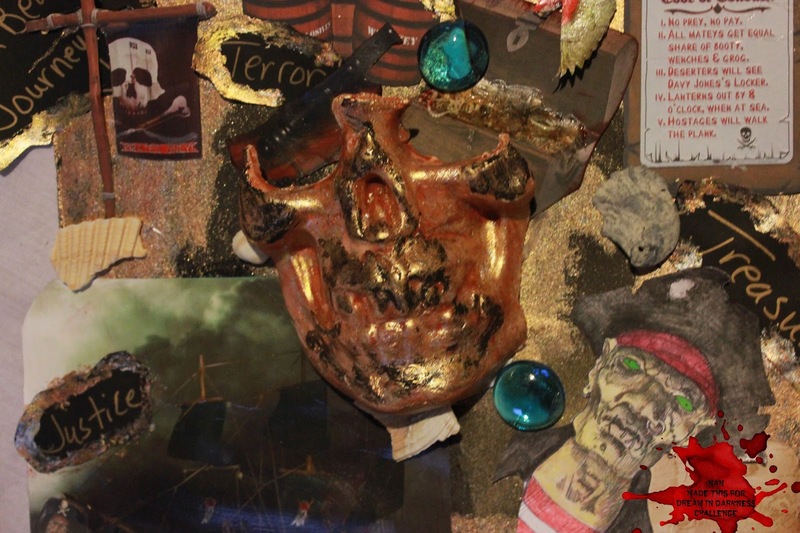 It is Talk Like a Pirate Day on the 19th of this month, so of course we decided to take it seriously all month long at Dream in Darkness! 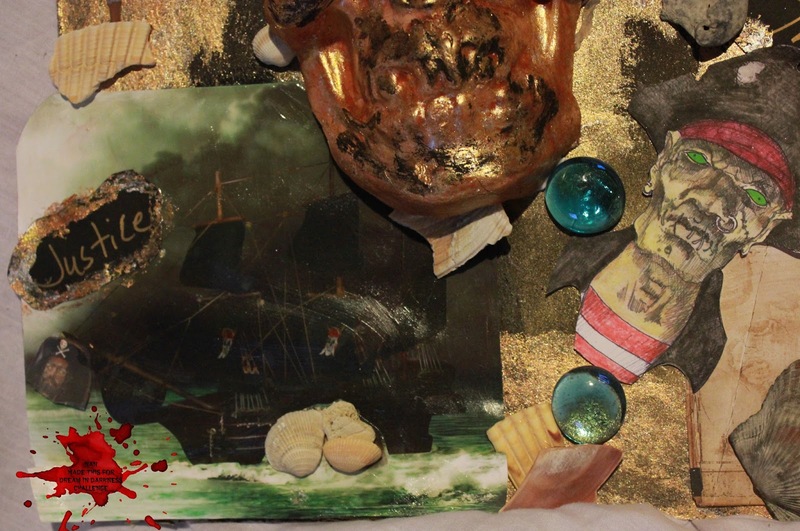 Here is my synopsis of Blackbeard's life of pillaging, having piratey fun, and ultimately his head hanging from the ship of the captain who killed him. Oh well, fun and consequences! This all started from the half skull in the middle, a gelatin mold from the dollar store with air dry clay layered in fairly thinly. Anton the Zombie Pirate by Rick St. Dennis gave it that hearty pirate look i was going for. Then as luck would have it we went miniature golfing at a Pirate course so I got some awesome pics of some piratey things to add! 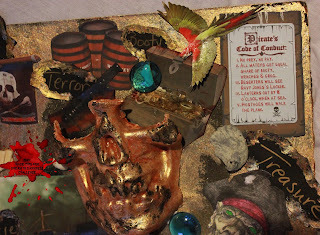 Mischief Circus' s Enna's Creations Blackbeard's Adventures kit added the fab foggy sea, boat, and wonderful parrot! We have a fabulous challenge for your dark and creepy makes so please hop over to our challenge blog and enter your creep! 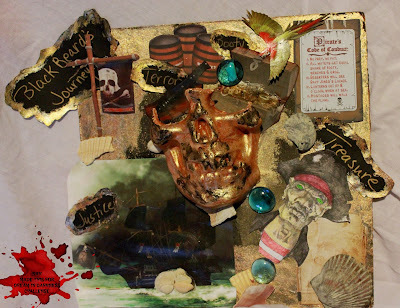 Dream in Darkness Challenge Blog September "Anything Goes"
Oh! I see those moulds all the time and never thought of using them with clay!! !